Thousands of completely satisfied customers can’t be wrong! In fact, they rave about us. Being family-owned and operated for over two decades has provided Select Basement Waterproofing a level of confidence that the industry is now judged by. 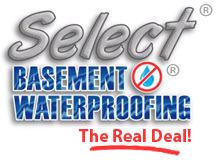 Our relentless customer satisfaction has rewarded Select Basement to become New Jersey’s safest and most proactive waterproofing contractor in NJ, PA and DE. Unlike the other companies, these are REAL referrals, with problems just like yours (and even worse!) that we have effectively solved. Being family-owned and operated, we pride ourselves on the 17 years of experience served in NJ with the high-quality work we have performed. Over 1000 completely satisfied customers can’t be wrong! In fact, they rave about us. Unlike the other companies, these are REAL referrals, with problems just like yours (and even worse!) that we have effectively solved.